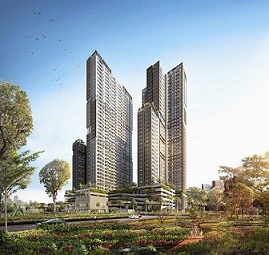 Sinar Mas Land Limited (formerly known as AFP Properties Limited), listed on the Singapore Exchange and headquartered in Singapore, is engaged in the property business through its operations in Indonesia, China, Malaysia and Singapore. Sinar Mas Land has long-term investments in major commercial buildings, hotels and resorts, and is involved in property development and leasing in Indonesia, China, Malaysia and Singapore. Sinar Mas Land – Indonesia Operation, owns around 10,000 hectares of strategic land bank (as of 2011) with projects in city development, township, residential, commercial, retail, industrial estates, and hospitality properties, including property related services, is undoubtedly the largest and most diversified property company in Indonesia. Comprised of two well-respected listed property companies: PT. Bumi Serpong Damai, Tbk and PT. Duta Pertiwi, Tbk; both have an established market cap of more than US$2 billion. To be the leading property developer in South East Asia, trusted by customers, employees, society, and other stakeholders. Sinar Mas Land is the largest and most diversed property developer in Indonesia. The company is known for its rich experience of more than 40 years in the field of property development.